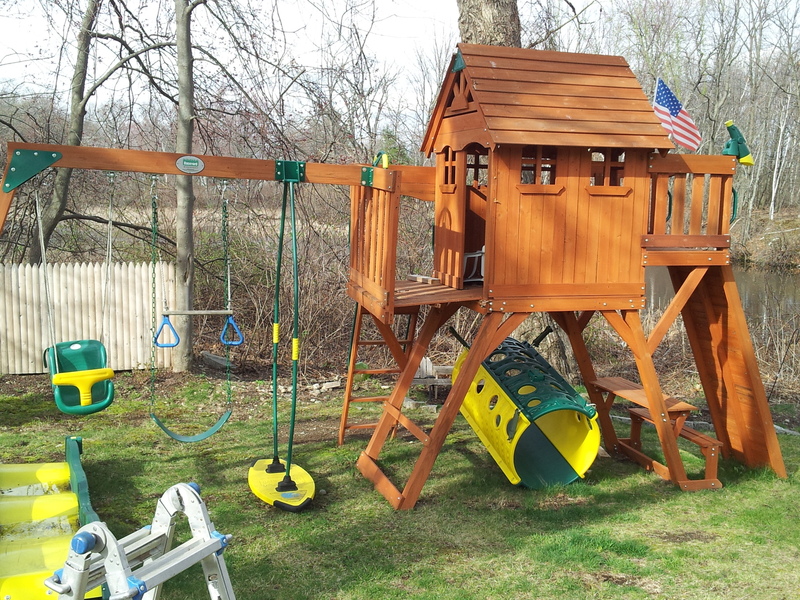 From 2001-2009 I was the Swing Set installer for 4 Massachusetts locations of a New England retailer that sold Swing Sets. 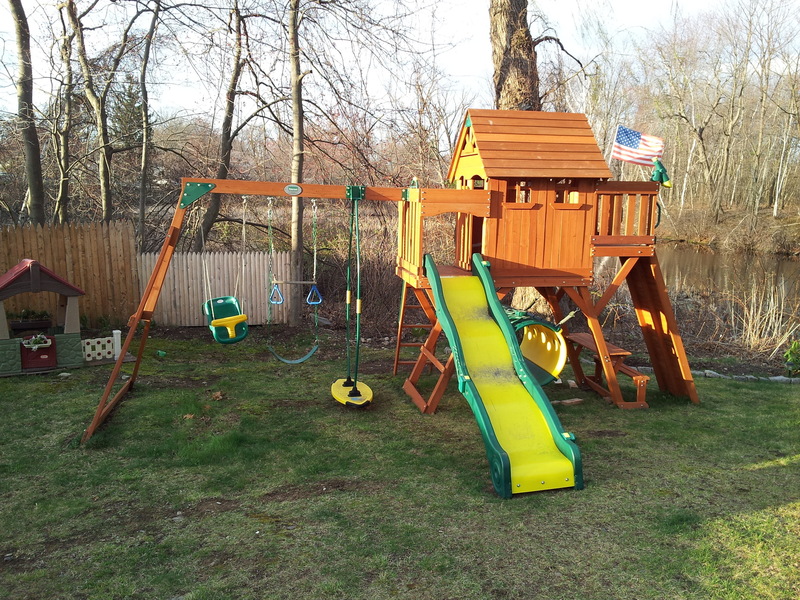 As the years went by I was receiving more and more inquiries from people who had purchased Swing Sets from other retailers that did not offer installation services. In late 2009 I made the decision to make it my full time business. 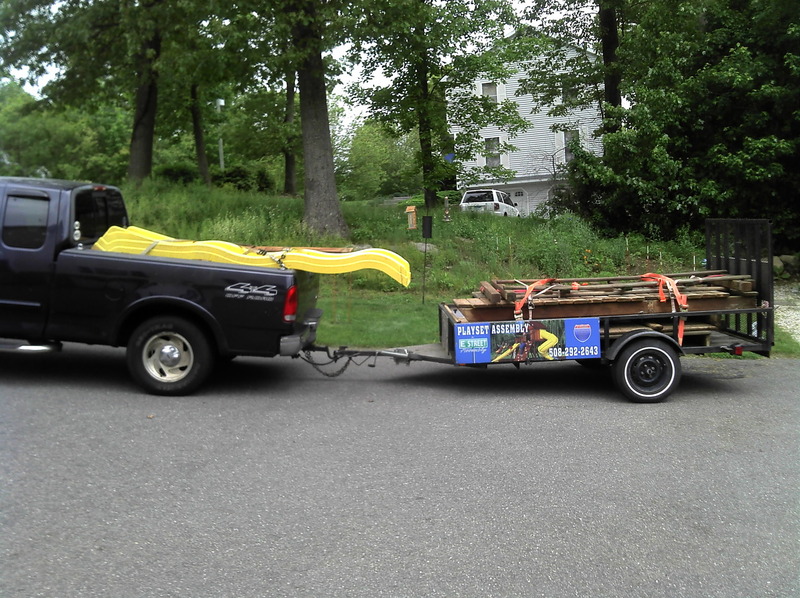 While the majority of my business is March through October I do work year-round, weather permitting. 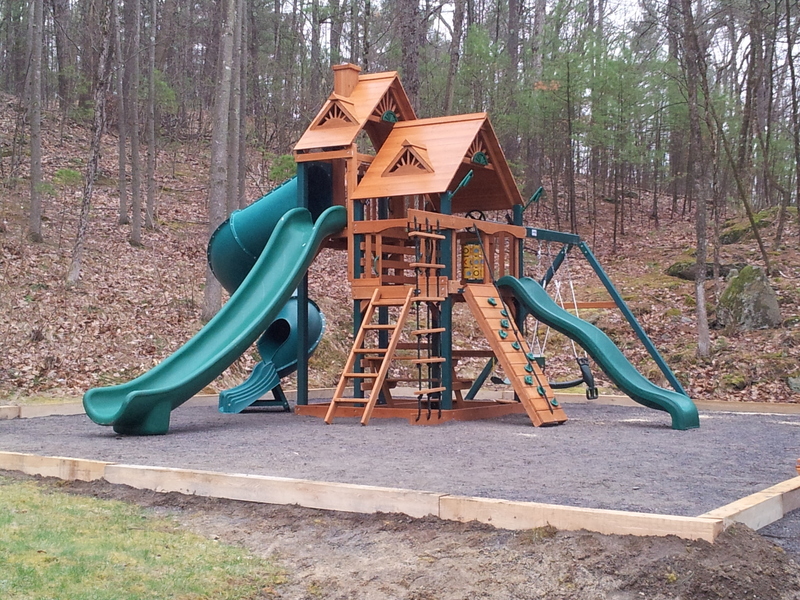 I assemble & install new sets, repair existing sets & move sets in ALL of Massachusetts, Rhode Island, Connecticut & New Hampshire. If you are moving and want to take your set with you, or are purchasing a used set, I can dis-assemble, move & re-assemble most sets. 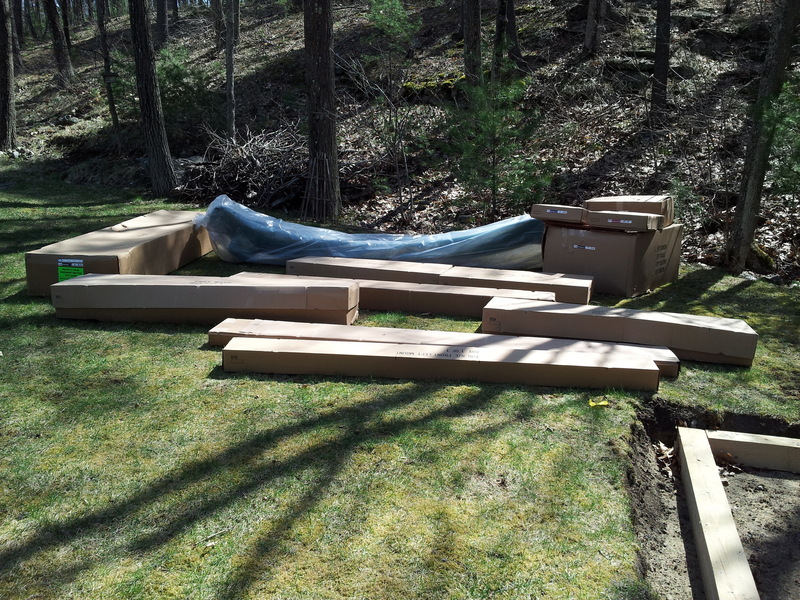 I only install/move wooden swing sets. PERIOD. I am not a "jack of all trades" filling in my schedule with what ever work I can find. When you need electrical work done, call an electrician. 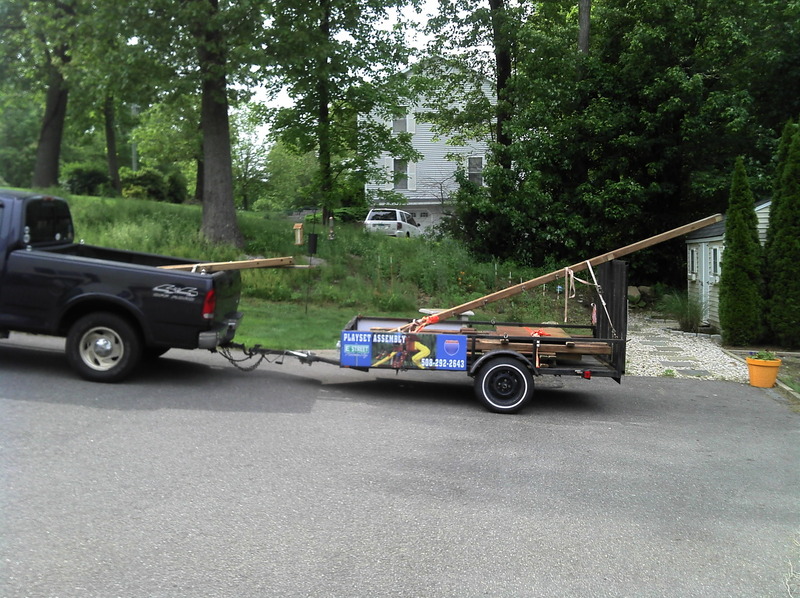 When you need plumbing work done, call a plumber. 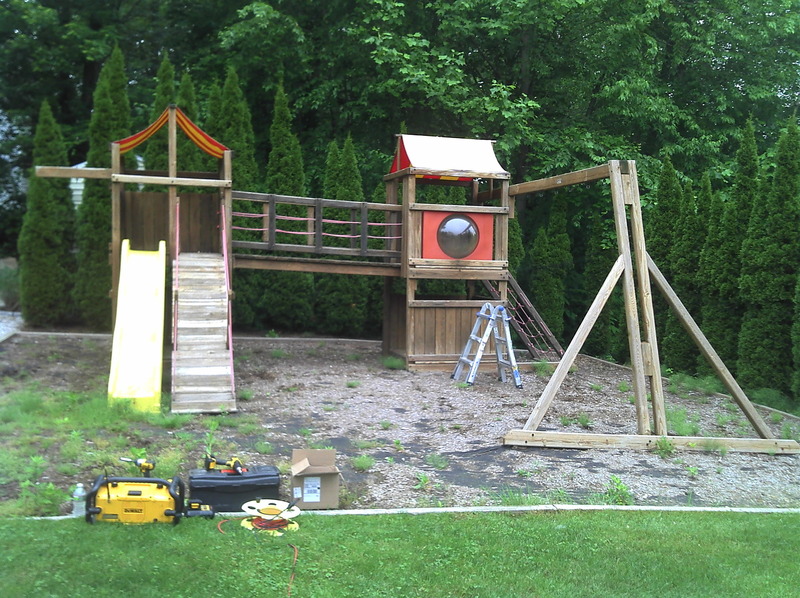 If you need a wooden swing set installed, you wouldn't call a painter, or web designer, would you? 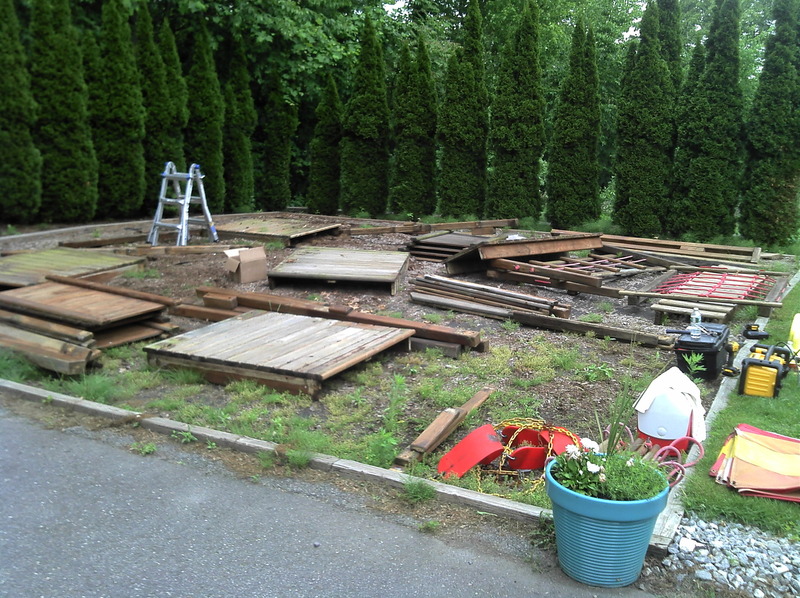 Please, please, please use someone that is experienced with installing wooden swing sets, such as E Street Assembly. 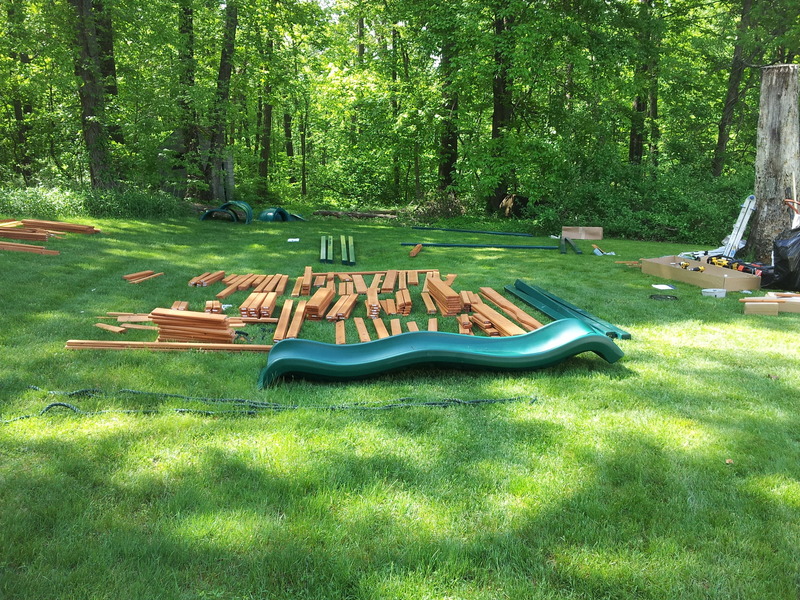 An perfect example of what happens when someone who is not experienced attempts to install a Swing Set is HERE. Boxes unpacked & wood parts organized. And DONE! 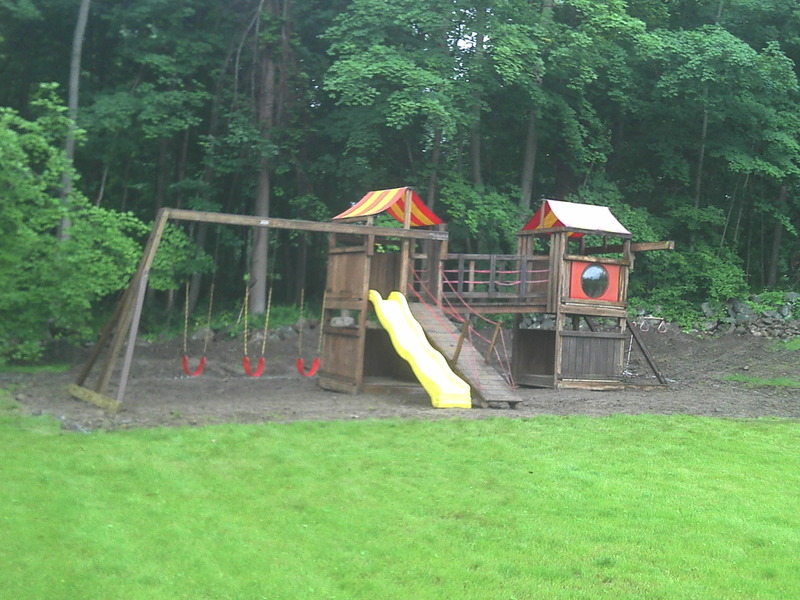 I was also able to re-configure the set to better fit the new yard. After repairs, as good as new! I am proud to say I have never gotten a call that a set I installed has blown over in a storm. 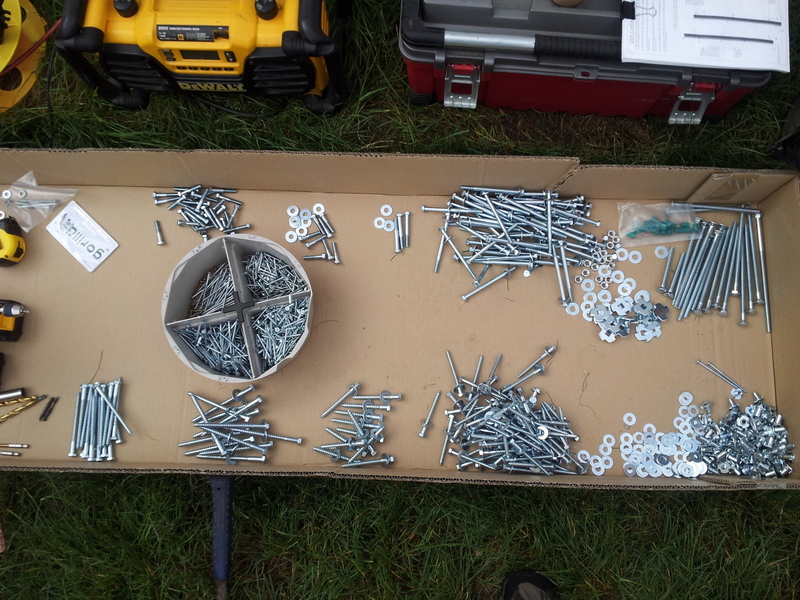 Between the anchors that are included with some sets & ensuring that it is level and stable they do not move. Every once in a while I do get a call when a tree has come down on a set. I have quite a few extra parts, but if needed I can go through the set, identify the parts that need to be ordered & replace them making it a good as new.